Encuentra tu Alojamiento en El Yaque ! 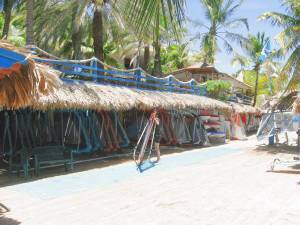 One of the most peculiar beaches in Margarita is El Yaque. 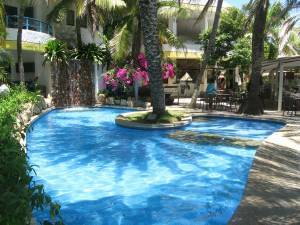 It is located behind the Margarita Airport, approximately 5 minutes from it. Windsurfers and families with little children are very common there. It has a lot of wind, calm waters and not very deep. 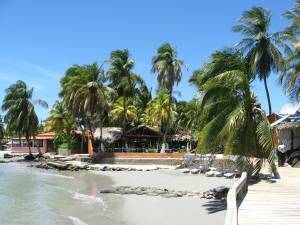 We could really say that El Yaque is divided in two beaches. 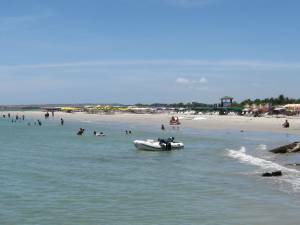 The first one you find is the Eastern Beach, one of the favorite of the families with little children, because it a safe beach, no waves and very calmed. 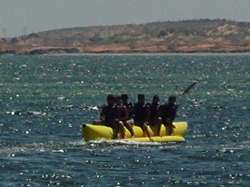 In one of the edges of the beaches there is a dock where kids like to jump and where the banana trips start. 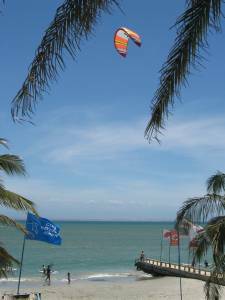 El Yaque is one of the best places in the World for Kite and Windsurf (without exaggerating). 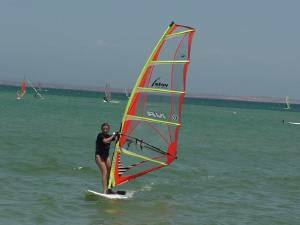 The lovers of these sports come all around the world looking for good wind, not very deep waters and sun during the entire year. 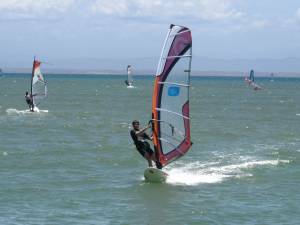 The visitors of El Yaque are mainly from Europe and windsurf schools are hosted very frequently by French, English, American or German instructors. 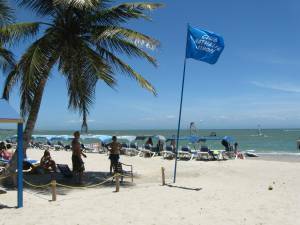 ¿Why is El Yaque an exceptional place for Windsurf? It is because of several reasons. First of all, the wind is very strong and constant, and it is there almost all year, particularly from October to April. 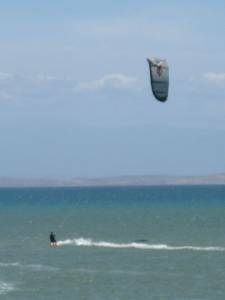 Second of all, the water there isn’t very deep, making it easier for those who want to learn how to Windsurf. Then, we can mention the nice wheatear, based in nice temperatures and sun all year long, due that in Margarita it never rains. 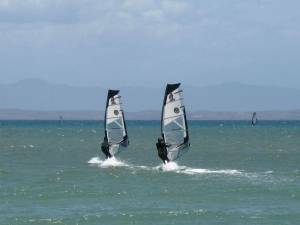 In El Yaque there are several Windsurf and Kitesurf schools. They have very good facilities and, of course, boards and equipment to rent. 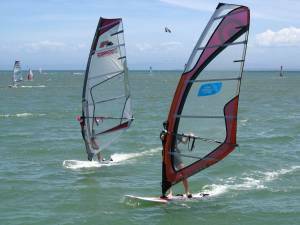 In the past years, resides Windsurf some people make Kitesurf, that is similar to surfing but with the impulse of the Sail, like a kite. 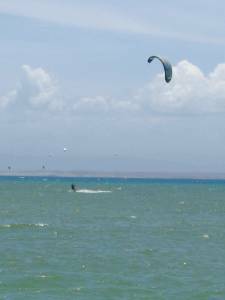 El Yaque also has excellent conditions for kitesurfing. 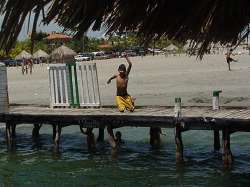 In El Yaque there are diverse hotels, inns and houses to rent. Some of them are right in front of the beach and other not so close, but all of them aren’t far away from the beach. Los Roques - Los Roques is an archipelago of Venezuela, located in the Caribean, at 168 Km (100 miles) north of La Guaira, Caracas´ port. For its beauty and ecological importance it was declared national park in 1972. Paraguaná Peninsula - At the Northwest end of Venezuela, in Falcon State to the North of Coro, is the charming Paraguana Peninsula, which will warmly welcome you. The dry climate and the steady breeze that blows all the year round make this land a privileged one.